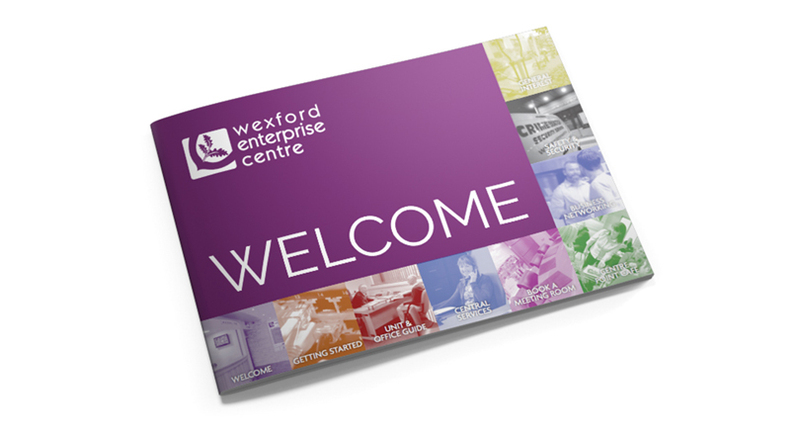 Wexford Enterprise Centre offers a range of services and facilities to support our tenants. We operate a fully serviced reception area providing administrative services including message taking and managing all incoming and outgoing mail. Additional optional services such as photocopying, scanning and laminating are also available. 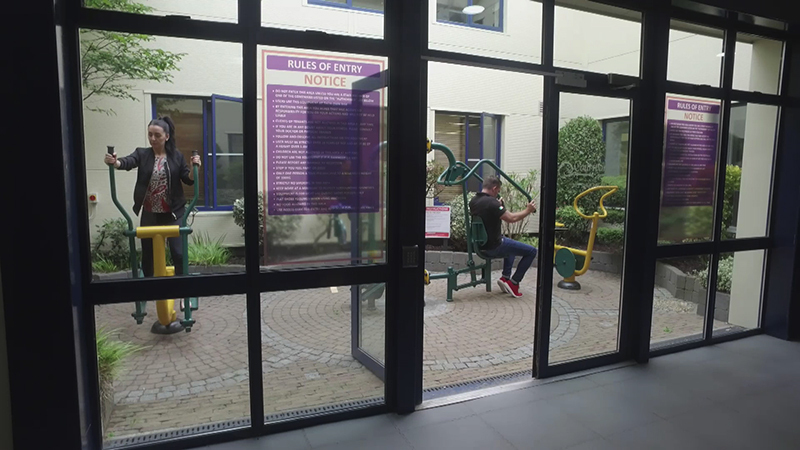 All units in Wexford Enterprise Centre are fully wheelchair accessible with lift access to the second floor. 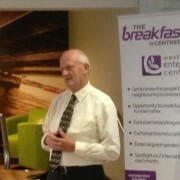 Tenants also avail of the Centre’s general waste management and recycling facilities. 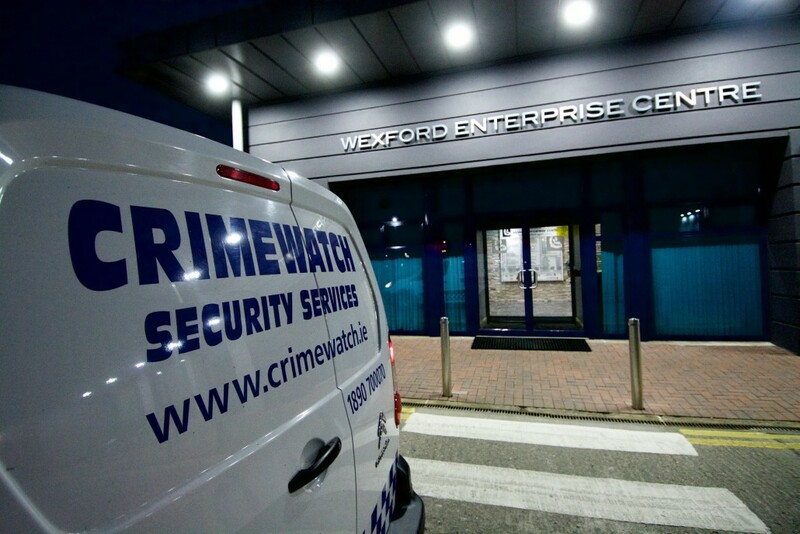 Wexford Enterprise Centre is serviced by multiple secure entry points ensuring ease of access with loading and movement throughout the building guaranteed at all times. We offer free car parking to tenants and visitors. Disabled parking and loading bays are clearly marked at the entrance to the building. 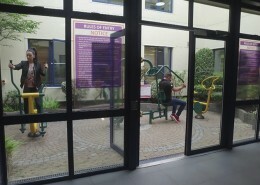 The Centre promotes a healthy lifestyle and provides bicycle parking for those wishing to cycle to and from the Centre. 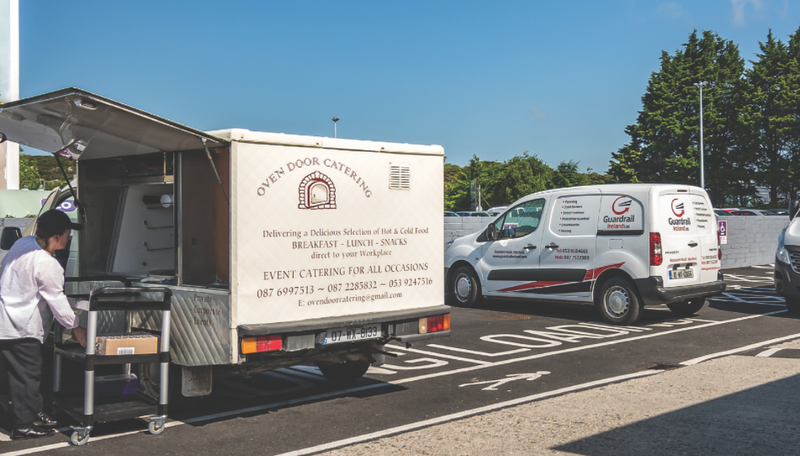 In addition, we are serviced by cycle lanes from Wexford Town which is only 3kms away. The Enterprise Centre is serviced with multiple high speed fibre lines from a number of different broadband suppliers ensuring constant and uninterrupted supply. 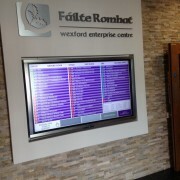 We currently host a 500mb and three 150mb fibre lines within the building. These lines are located in a secured and monitored central communications room with CAT 5E connectivity direct to each individual unit /office. 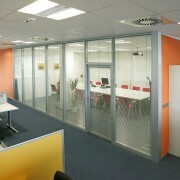 Each unit/office is fitted with a communications cabinet connected to various workstation points. 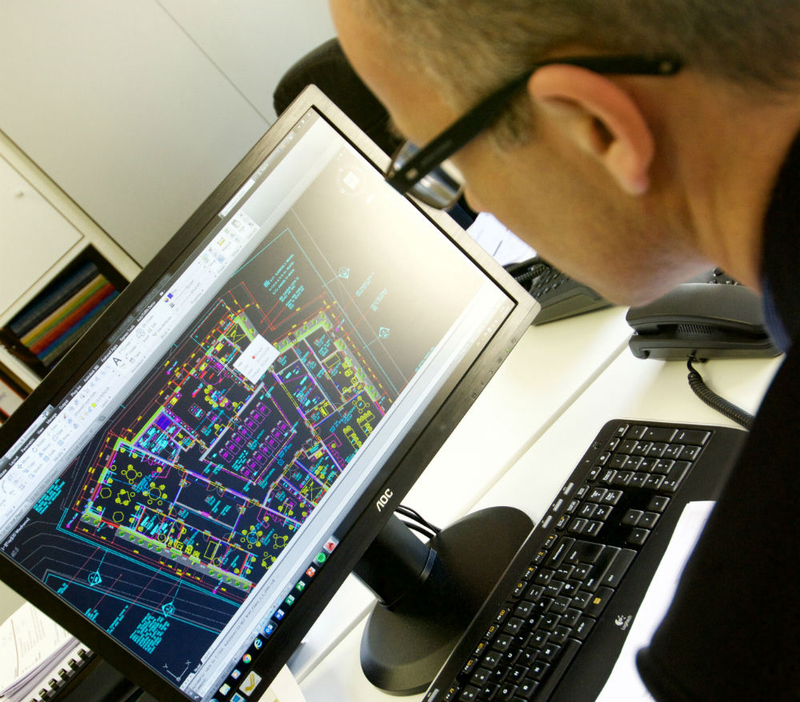 Our IT architecture and infrastructure delivers interconnectivity between all units within the Centre thus enabling a company’s rapid expansion to additional units with minimum disruption. The Café, Meeting and Conference Rooms are serviced by fast and efficient free Wi-Fi. The security and safety of our tenants is our priority. Over 40 digital CCTV cameras monitor and record all communal areas 24/7, 365 days a year. Nightly spot checks are conducted by our private security partner. A car registration scanner records all vehicles entering and leaving the business park. External lighting operates throughout the night covering all car parking areas and entry and exit routes. 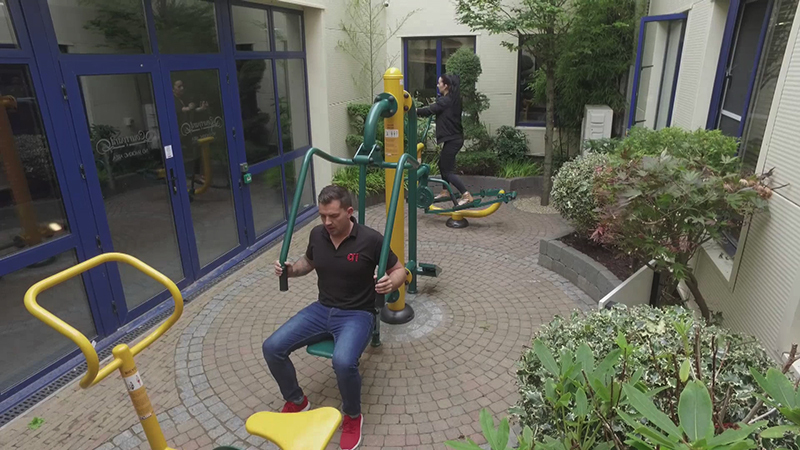 All workspaces and communal areas are monitored by over 230 fire points. 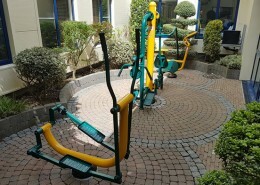 These are linked to a fully addressable fire alarm system which is overseen by a private monitoring station. 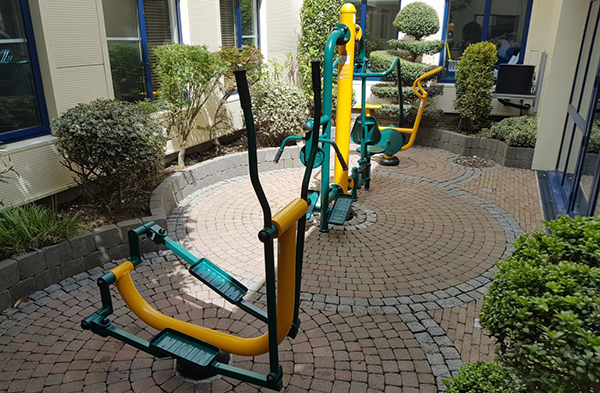 Our holistic approach to the well-being of our tenants and their staff is completed with a fully fitted outdoor Exercise Zone. 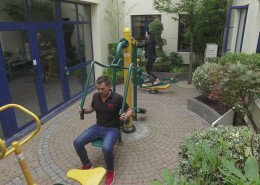 Tenants can take a break, exercise, have some down time and help manage the stresses of the working day. Every new tenant receives a welcome pack containing all of the information needed on arrival.